Assessment of ADHD typically includes rating scales completed by parents, teachers, and/or patients themselves. However, rating scales may be subject to rater bias effects, and raters may not recognize the patient’s implicit qualities and underlying personality processes. In contrast, the Rorschach test permits standardized, in vivo observation and coding of behaviors as outcomes of implicit personality processes, and, thus, it may assist clinicians in the formulation of contextualized treatment decisions. 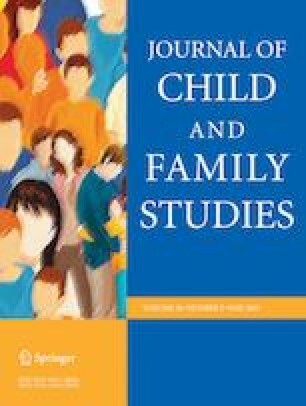 By using the Rorschach Performance Assessment System (R-PAS), a performance-based personality test characterized by empirical foundation and psychometric efficiency, we conducted an observational study to investigate in depth personality and its implicit qualities in children with ADHD who were not on medication. After reviewing thoroughly the previous studies on ADHD and the Rorschach and discussing their contradictory findings, we compared the data of our sample (N = 31) with the R-PAS normative children’s group. Several Rorschach variables differed from R-PAS norms and indicated the presence of unconventional perceptions characterized by non-cognitively mediated interactions and difficulties mentalizing human behavior. Overall, it appears that hyperactivity and impulsivity are associated with unconventional and sometimes mistaken processing of information especially relevant to people and relationships. Although we compared the Rorschach profiles to norms rather than a matched control group, our findings could provide useful information for understanding the personality functioning beyond manifest symptoms or symptom reports of children with ADHD. A.A. designed and executed the study, assisted with the data analyses, and wrote the paper. C.P. analyzed the data and wrote the results. D.J.V. collaborated with the design and writing of the study. A.Z. collaborated with the design and writing of the study. S.C. collaborated in the writing and editing of the final manuscript. L.F. collaborated with the design and editing of the final manuscript. D.J.V. receives royalties on the sale of the R-PAS manual and associated products. The remaining authors declare that they have no conflict of interest. For our study, the head physician of the neuropsychiatric ward of the hospital approved the use of archival data from outpatients. All parents gave their informed consent before starting the diagnostic assessment. All procedures performed in studies involving human participants were in accordance with the ethical standards of the institutional and/or national research committee and with the 1964 Helsinki declaration, its later amendments, and comparable ethical standards. Meyer, G.J., Viglione, D.J., Giromini, L. (2016). Current R-PAS Transitional Child and Adolescent Norms. http://r-pas.org/CurrentChildNorms.aspx.